This post is just going to be a comparison of the old version and the new version of the Mac 168 brush. 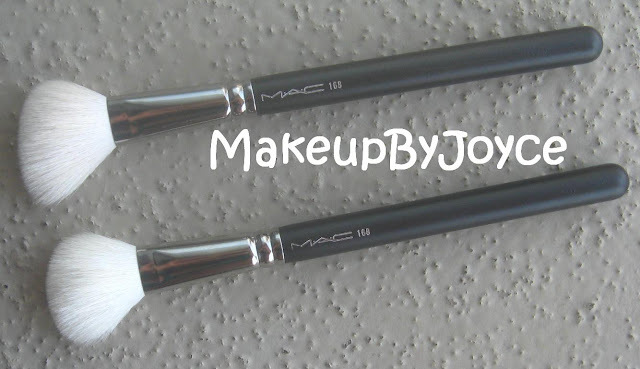 Bottom Line: Even though there are physical differences between the old and the new version of the Mac 168 brush, I find the differences to be insignificant because they both apply my blushes and bronzers the same way. However, I do like the old version more because the head is more angled. This post is just to inform you guys and gals that there are differences with each of the brushes that Mac sells. 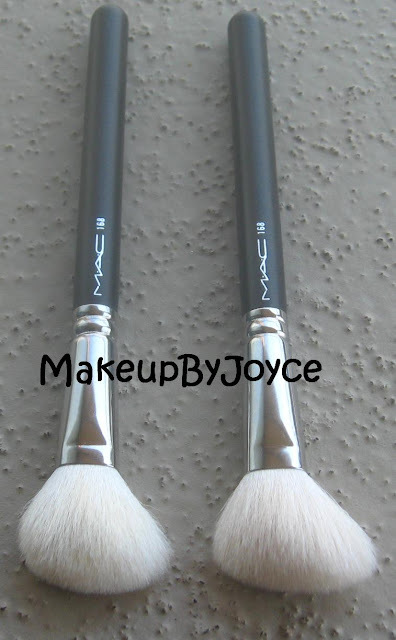 The differences can be slight, such as the two Mac 168 brushes above; however, the differences can also be drastic, such as the two Mac 187 brushes that I compared in a previous post here. Have you experienced this before with any of Mac's brushes?